Daniel Edward Aykroyd was born on July 1, 1952 to Samuel Aykroyd who was a civil engineer and Lorraine Helene who worked as a secretary. 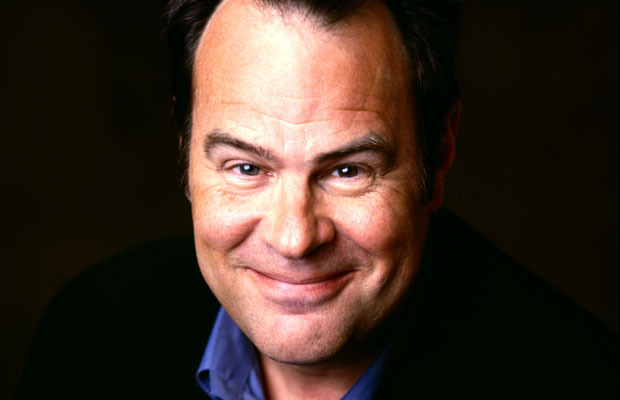 Growing up, Dan Aykroyd was a boisterous child with a hyperactive personality that was not curbed even by his strict father who would often use corporal punishment on his son. He was expelled from the Catholic school he attended on the account of delinquency. He started taking acting lessons when he turned 12 and discovered that acting and blues music were two of his passions. He went on to attend Carleton University where he studied psychology, criminology and political science but dropped out before his degree was completed. He then took up jobs as a comedian in nightclubs. He got his first professional break when at the age of 17, he became a member of the Canadian TV series, “The Hart and Lorne Terrific Hour” and “Second City” (1973) which was a troupe based in Chicago and Toronto. He became popular in America because of his appearance in, “Saturday Night Live” which he also wrote. He was also famous because of his mimicry of Jimmy Carter, Julie Child and Richard Nixon. This gave him the exposure he needed and was soon working with great actors like Steve Martin, Chevy Chase and John Belushi. His partnership with John Belushi was particularly strong and the duo started to experiment with movies, with Dan Aykroyd doing the writing. However, unfortunately for them, none of these movies became popular either at the box office or with critics. Because of Aykroyd’s interest in Blues music, he and Belushi created a touring blue duo. Their black suits and shades became the duo’s trademark and showcased Belushi singing while Aykroyd played the harmonica. The duo was an instant success and became massively popular and their success soon inspired them to turn their story into a movie, “The Blues Brothers” in which they played the roles of turncoat musicians. The film was a huge triumph with the audience and Aykroyd had a huge fan following by now. Given the success of their movie, Aykroyd and Belushi decided to give up “Saturday Night Live” and divert all their attention towards making more movies. Apart from “The Blues Brothers”, he starred with Belushi on two occasions; “1941” which did not do so well because of a lack central theme and “Neighbours”. In 1983, he finally made his mark as an actor in the comic movie, “Trading Places”. Aykroyd suffered a huge blow in 1982, when he suffered the death of his partner and friend, Belushi. He had written the role of Dr. Peter Venkman for “Ghostbuster” (1984) especially considering Belushi in mind however he refashioned it completely for Bill Murray. “Ghostbusters” earned him colossal success which he had co-created, written and also acted in as one of the leads. The inspiration for the movie came from Aykroyd’s enthrallment for the paranormal. In 1989, Aykroyd earned a nomination for Best Supporting Actor at the Academy Awards for his work in “Driving Miss Daisy”. He was also one of the two actors who were nominated for the Oscars, from “Saturday Night Live”. In 1991, he directed the movie, “Nothing but Trouble” which proved to be a flop. Other acting roles followed, the most appreciated one being in the movie, “Grosse Pointe Blank” (1997). In 2011, Akyroyd appeared in CBS’s “The Defenders” and he also made a guest appearance as a judge in Top Chef Canada. Dan Aykroyd revealed in 2012 that he has started working on a comic script that would star Chevy Chase.